Hey babes! 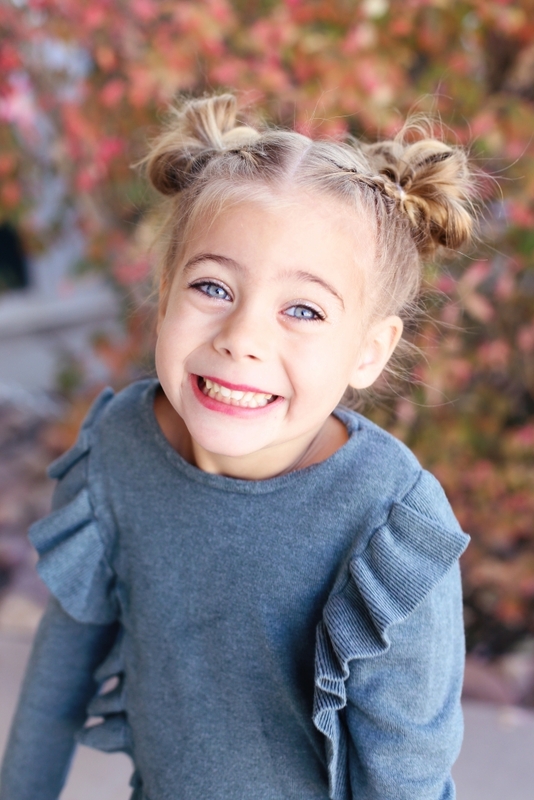 I’m here for another tutorial with my Savy girl! We wanted to share her “slimer” hairstyle she wore for Halloween and how we modify it for everyday. 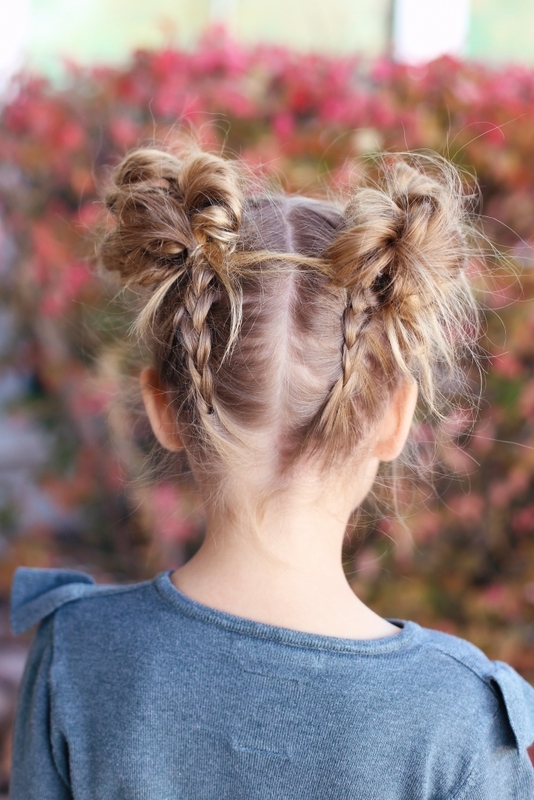 For the slimer hairstyle, I put all four dutch braids into ponytails. 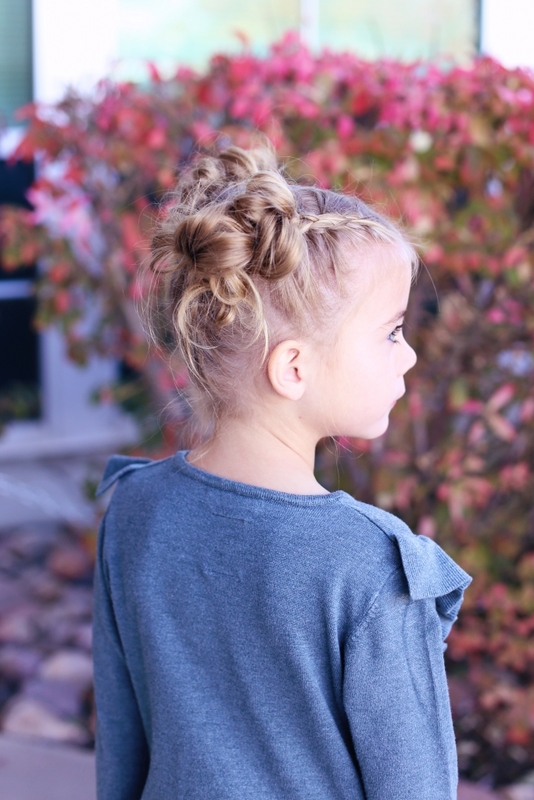 Then I teased her little ponytails so that the hair was nice and texturized and then I used bobby pins to form the buns. That way the buns were nice and fluffy and super crazy just like we wanted them for her slimer costume! I obviously sprayed each bun with green hairspray and tied four little ribbons around them. The hairstyle turned out so cute, I wish I had recorded it so you could see the full 360 view!!! 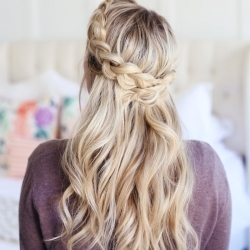 The everyday version of this hairstyle though, Savy wears often. Instead of keeping the four messy buns separate, I just smush them together with bobby pins to create one large bun. 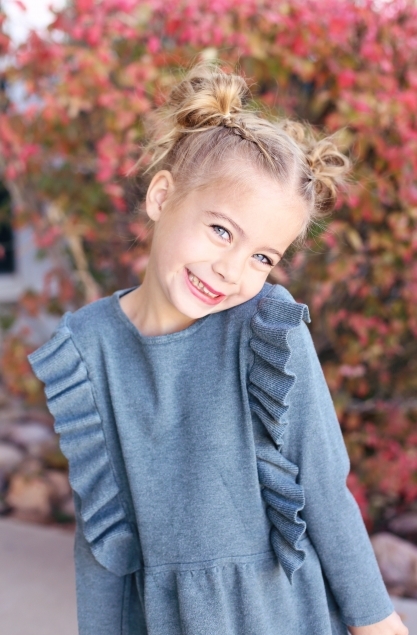 It’s perfect for her hair because it’s really fine and whispy so it makes her buns (haha) look nice and full. Why does that sound so wrong to me ??! Full step by steps are down below! 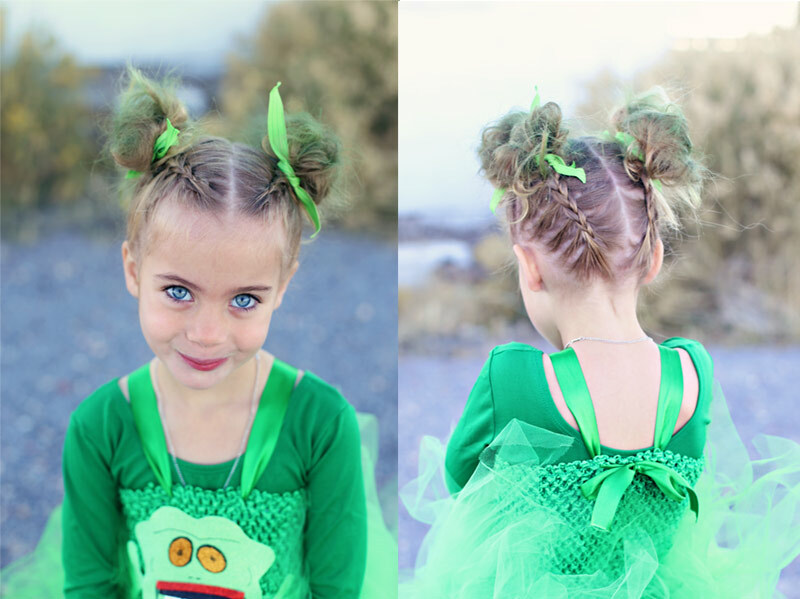 ^^ Here’s a couple cute pictures of her slimer costume + hairstyle. And if you want to see more, here’s the link to our family Halloween pictures. Savy’s dress was from Zahra in the fall, but they’re no longer selling it. Follow her on instagram @savyjane1 and I’m gonna start doing swipe ups of her daily outfits! 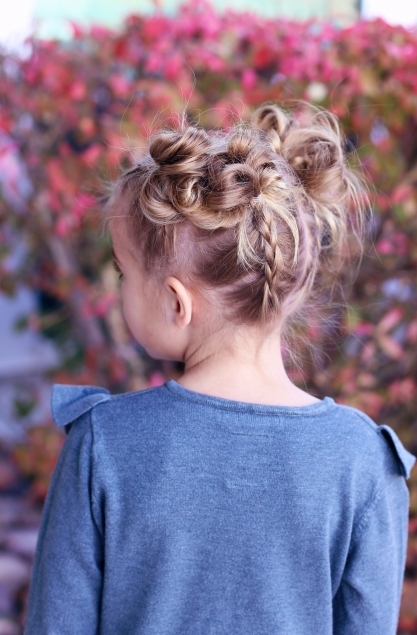 5// Stretch the buns so they’re nice and full, and then use bobby pins to smush them together! The BEST FreeTime Apps for the Amazon Fire! 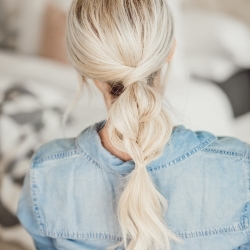 7 PONYTAIL hairstyles for Spring and Summer! !